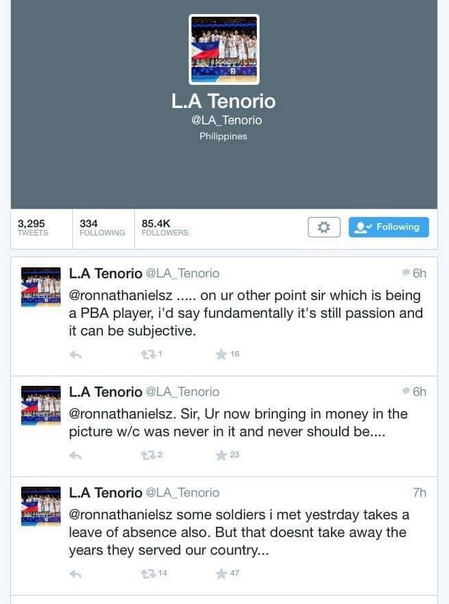 LA Tenorio and Ronnie Nathanielsz Had an Intense Twitter Conversation: Read it Here! The Barangay Ginebra San Miguel had an event with the Armed Forces of the Philippines (AFP) soldier the other day. 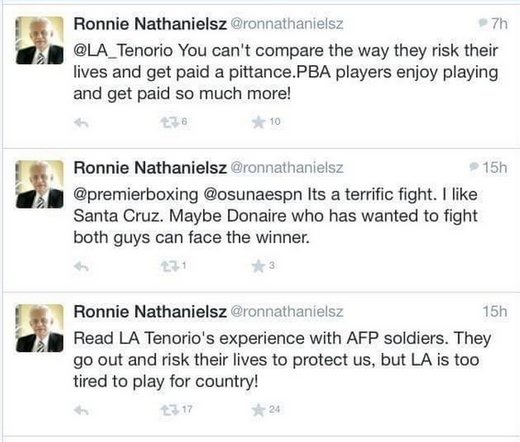 Veteran guard LA Tenorio and well decorated sports analyst Sir Ronnie Nathanielsz talked about it on Twitter. Read their intense conversation below. Alex Mallari on his Way to Ginebra? How true?